Two-year-old boy, Muruganath, was diagnosed with severe heart disease when he was just one-month-old. Till date, he has been suffering from Congenital Heart Disease (CHD) and Ventricular Septal Defect (VSD). This disease occurs at birth itself and causes a deformity in the heart structure. 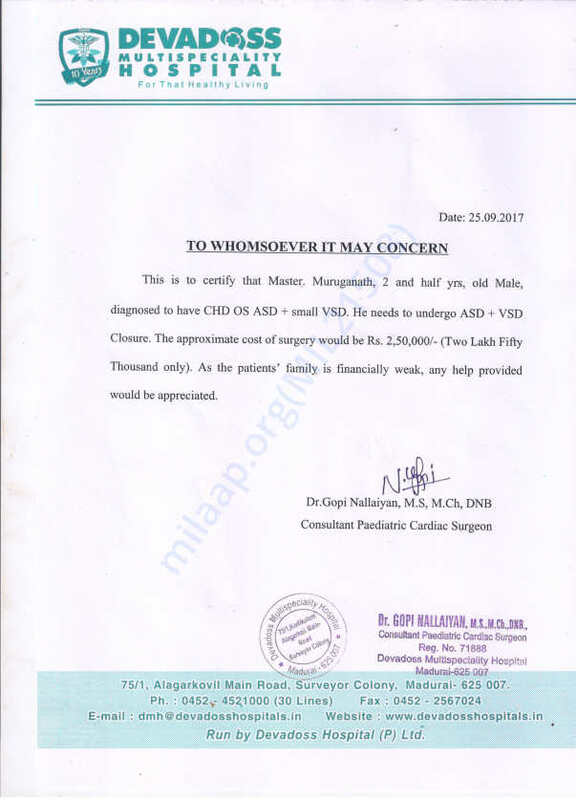 In order for Muruganath to recover completely, he now needs to undergo a VSD closure surgery which is a closure of a hole in the heart wall. 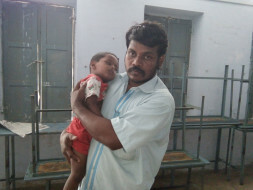 Unfortunately, Muruganath's family cannot afford the cost of surgery and need your help to raise funds for it. Donate & help young Muruganath get back to normal. We would like to thank you for the support you have shown towards Muruganath so far. 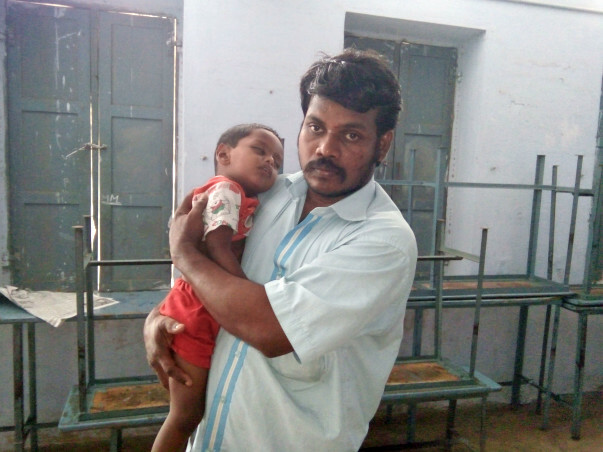 While Murugunath's surgery was due soon at Devadoss Multispecialty Hospital in Madurai, Muruganath's family decided to get a second opinion from a government hospital in their hometown. On doing so the parents have decided to postpone Muruganath's surgery till he turns four years old, which is in another 1 and a half years. Please do write to us and let us know within 7 days if you would like your donation to be transferred to Robert's campaign.